University of California Press, 9780520222786, 244pp. The Promise of the City proposes a new theoretical framework for the study of cities and urban life. Finding the contemporary urban scene too complex to be captured by radical or conventional approaches, Kian Tajbakhsh offers a threefold, interdisciplinary approach linking agency, space, and structure. First, he says, urban identities cannot be understood through individualistic, communitarian, or class perspectives but rather through the shifting spectrum of cultural, political, and economic influences. Second, the layered, unfinished city spaces we inhabit and within which we create meaning are best represented not by the image of bounded physical spaces but rather by overlapping and shifting boundaries. And third, the macro forces shaping urban society include bureaucratic and governmental interventions not captured by a purely economic paradigm. Tajbakhsh examines these dimensions in the work of three major critical urban theorists of recent decades: Manuel Castells, David Harvey, and Ira Katznelson. 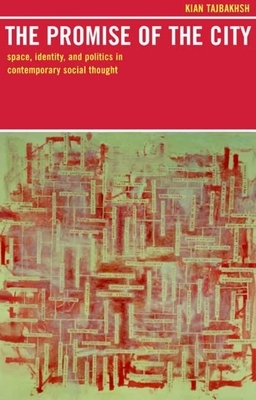 He shows why the answers offered by Marxian urban theory to the questions of identity, space, and structure are unsatisfactory and why the perspectives of other intellectual traditions such as poststructuralism, feminism, Habermasian Critical Theory, and pragmatism can help us better understand the challenges facing contemporary cities. Kian Tajbakhsh is Assistant Professor in the Urban Policy Analysis Department at the Robert J. Milano Graduate School of Management and Urban Policy, New School University.